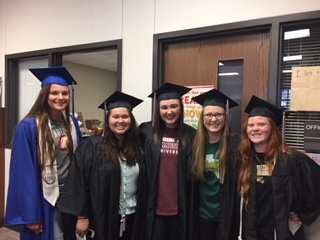 Tarver-Rendon students and staff were treated to a visit by several former students who are now graduating seniors from Legacy and Frontier High Schools. These seniors proved... once a Roadrunner, ALWAYS a Roadrunner! The seniors walked the hall of the school while students and staff cheered for them. It was great having the seniors on campus to encourage our students. Congratulations Class of 2018! We are so proud of you and your accomplishments!